Take a minute to think about your everyday activities. How many of them require electricity? Now imagine your daily life without power. You probably couldn't watch TV or go online. Your fridge would shut down and your stove might not work. In certain types of emergencies, Mother Nature can leave us stranded without electricity for days or even weeks at a time. Before this happens, double-check your emergency kit to make sure you'll be prepared. There are several ways you can plan ahead for a power outage. Make sure you have a good preparedness kit that includes a can opener and a radio, but be certain they don't require electricity. A residential generator could also prepare you for an emergency. However, if you decide to buy a generator for your home, follow the safety warnings and never, ever use it inside your home. When the lights go out, it's tempting to start lighting every available candle, but this might lead to a whole different emergency. Candles can be a fire hazard, so it's much safer to use flashlights and battery-powered lanterns. 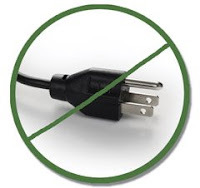 If a power outage occurs during the winter, be smart when trying to stay warm. Put on extra clothing and never use a gas stove for heat. Perishable food is a concern during a power outage, and could put that expensive cheese you’ve been saving at risk. To protect your food, try to keep the refrigerator and freezer doors closed as much as possible. A refrigerator can keep food safely cold for about four hours if it is unopened, but never take chances with food safety. Follow the U.S. Department of Agriculture's advice: When in doubt, throw it out! For more tips on what to do during a power outage, check out this Web page from the Centers for Disease Control and Prevention. Then take some time to make sure you are prepared to live without power. Don't be left in the dark!